WARNING: Hops can cause malignant hyperthermia in canines, usually with fatal results. Even small amounts can trigger a potentially deadly reaction, including “spent” hops from the brewing. Hops are packaged in 1oz.oxygen bags, 8oz and 1lb sizes are available upon request. Also available CRYOHOPS LupuLN2 Developed by Yakima Chief Hopunion, Cryo Hops represents the most innovative technology in hop processing. It uses a proprietary cryogenic separation process which preserves all components of each hop fraction, producing two simultaneous co-products, LupuLN2 and Debittered Leaf. 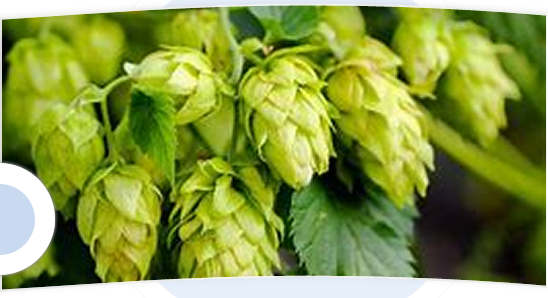 LupuLN2 is the concentrated lupulin of whole-leaf hops containing resins and aromatic oils. It is designed to provide intense hop flavor and aroma, enabling brewers to dose large quantities of hops without introducing astringent flavors or vegetative cone material. LupuLN2 offers twice the resin content of traditional whole-leaf and hop pellet products, and should be dosed at approximately half the amount by weight.